Each record on the register contains up to 42 fields of information. There is provision for a photograph on the register. It is hoped to publish the register on CD. The register is not available directly through this website. However, the following options are available. View a sample page of the Register. Request for information on a vessel. 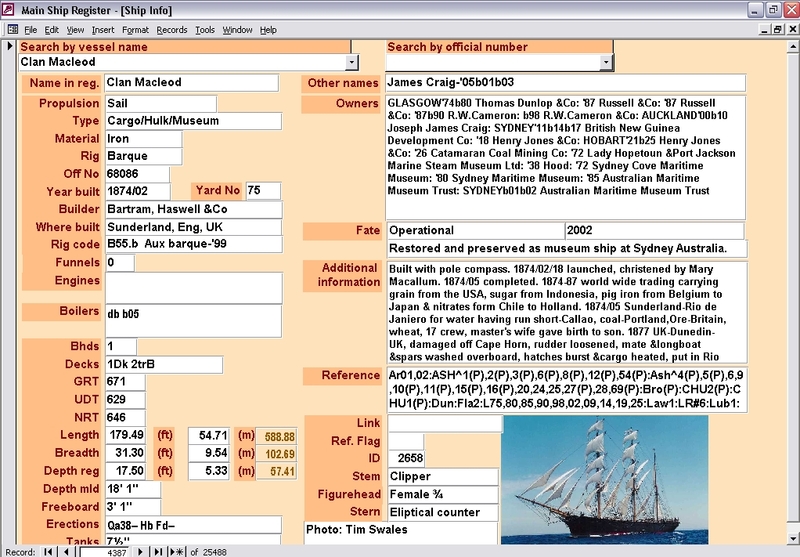 Submit information on a vessel. View a list of Sydney shipbuilders and boat builders. View a list of Tasmanian shipbuilders and boat builders.